Keller Snyman Schelhase’s four lawyers join Norton Rose Fulbright in Cape Town. 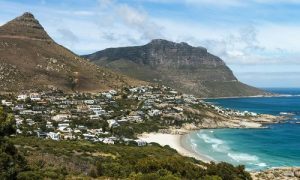 Norton Rose Fulbright has acquired four-lawyer commercial law boutique Keller Snyman Schelhase (KSS) in Cape Town, a move that comes six years after the global legal giant launched in South Africa via a merger with one of the country’s largest firms. KSS partners Andrea Keller, Anton Schelhase and Lauren Fine are joining the firm’s South African partnership as directors. The Cape Town firm, which was formed in 2012, advises clients in the energy, infrastructure, real estate, retail, transportation and financial services sectors.